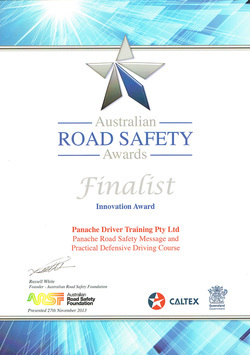 Panache Driving Training Pty Ltd finalist in the 2013 Innovation Award!!!!!!!!! 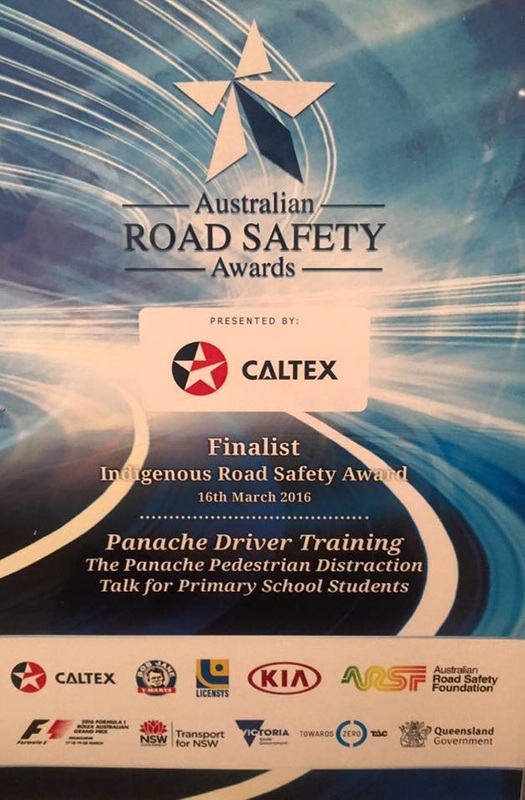 Panache Driver Training Finalist in the Indigenous Road Safety Award! 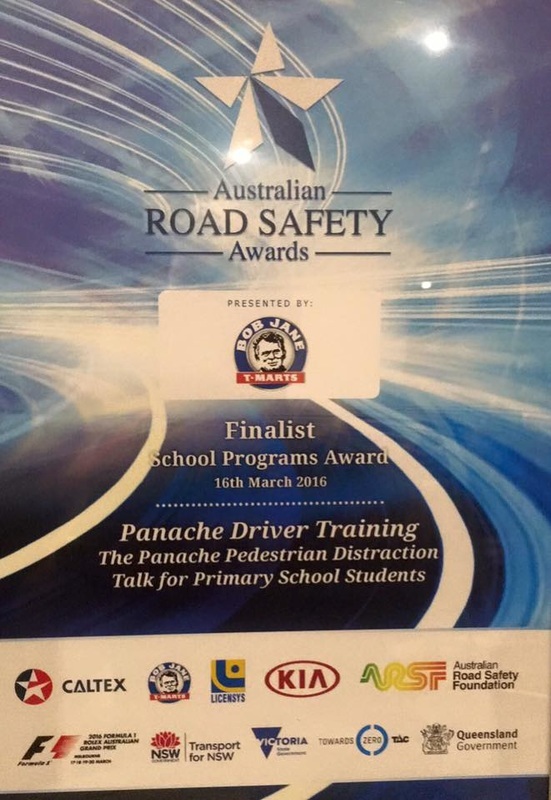 Panache Driving Training Pty Ltd is very humbled to be a finalist In the Australian Road Safety Awards for the Second year running! 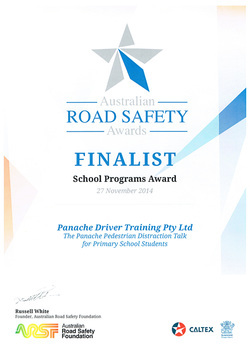 Panache Driving Training Pty Ltd finalist In the Australian Road Safety Awards for the Third year running! 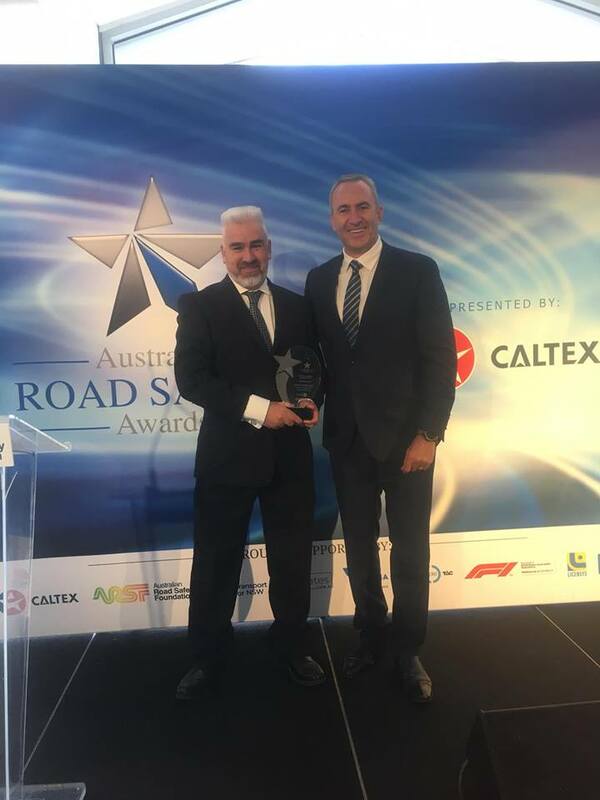 Our Director Derek Brewer excepting The Indigenous Road Safety Award at the 7th Australian Road Safety Awards for The Panache Special Needs Learn to Drive Program. From Channel 7s Mark Beretta. 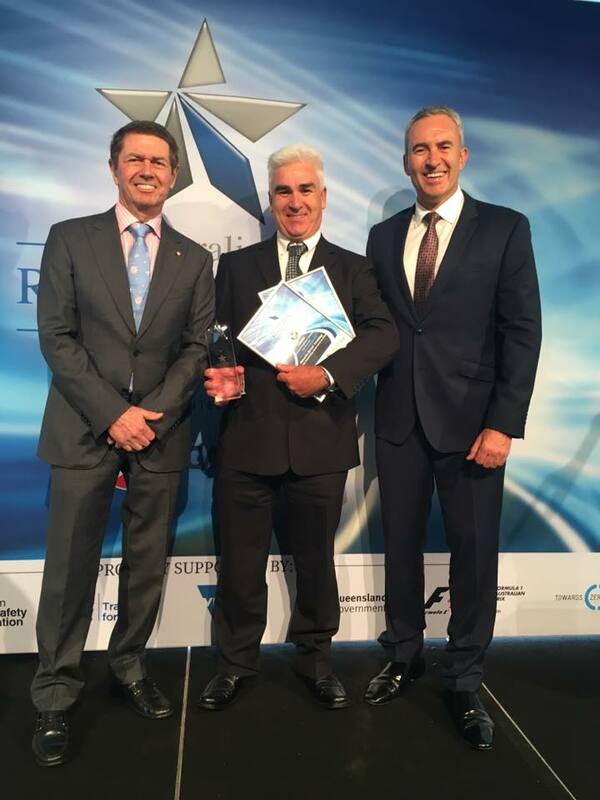 Indigenous Road Safety Award winner in the 7th Australian Road Safety Awards for The Panache Special Needs Learn to Drive Program. We are so humbled and overwhelmed to win the Indigenous Road Safety Award! For The Panache Special Needs Learn to Drive Program, at the Australian Road Award! 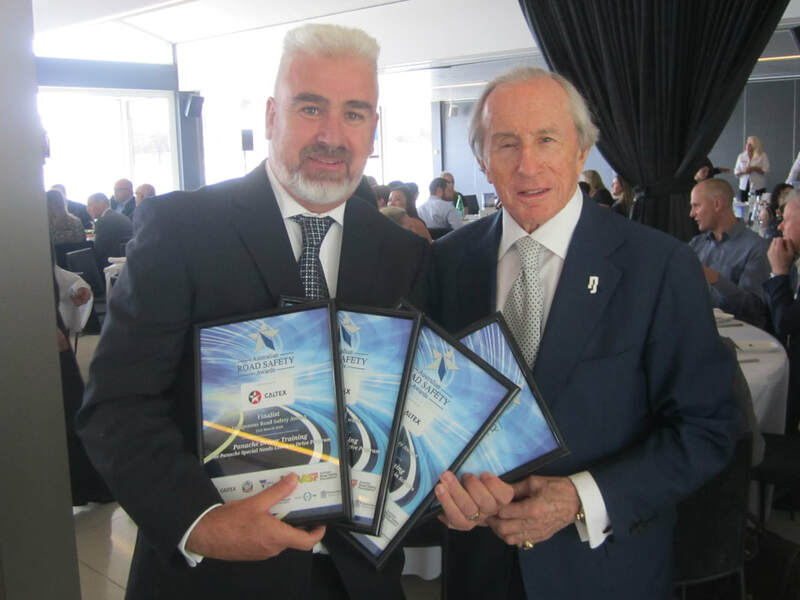 With Sir Jackie Stewart at the 7th Australian Road Safety Awards. Head Instructor Derek Brewer from Panache Driver Training with Craig Lowndes V8 Super Car legend at the 6th Australian Road Safety Awards. 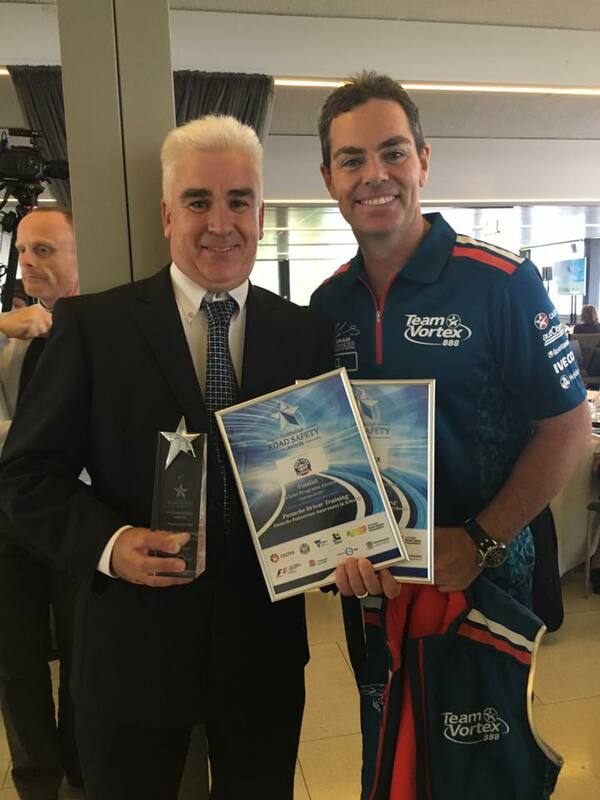 Head Instructor Derek Brewer from Panache Driver Training with Craig Lowndes V8 Super Car legend at the 3rd Australian Road Safety Awards. Derek Brewer from Panache Driver Training with Russel White CEO of Australian Road Safety Foundation and Michelle Yeoh Global Road Safety Ambassador and Internationally acclaimed actress at the 2013 Australian Road Safety Awards. Our director Derek Brewer with Mick Doohan 5 times Motorcycle world champion. At the Australian Road Safety Awards! Our director Derek Brewer with Ryan Scott 2012 Paralympian Gold Medal Winner. Ryan's story is so inspirational. 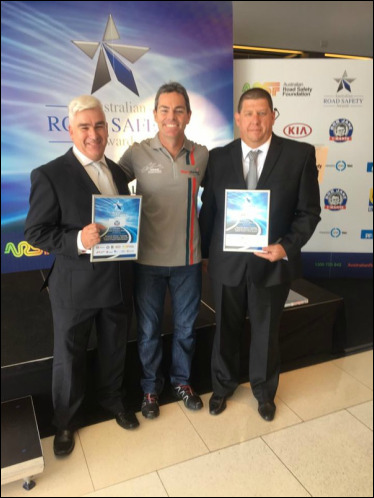 Head Instructor Derek Brewer and Phil Ryan from Panache Driver Training with Craig Lowndes V8 Super Car legend at the 5th Australian Road Safety Awards. 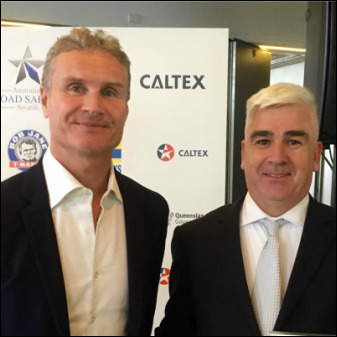 Head Instructor Derek Brewer from Panache Driver Training with David Coulthard F1 legend at the 5th Australian Road Safety Awards. 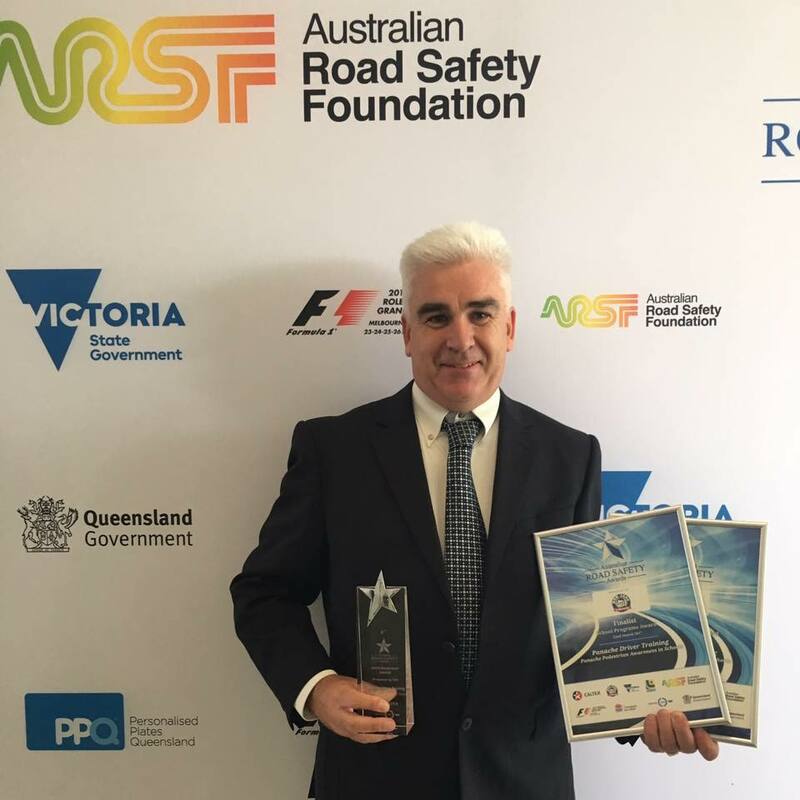 3rd Australian Road Safety Awards Finalist for the Innovation Award. 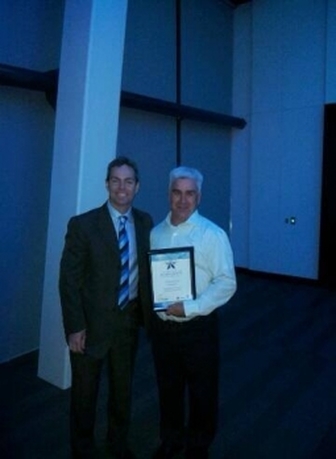 4th Australian Road Safety Awards Finalist for the School Programs Award. 5th Australian Road Safety Awards Finalist for the School Programs Award. 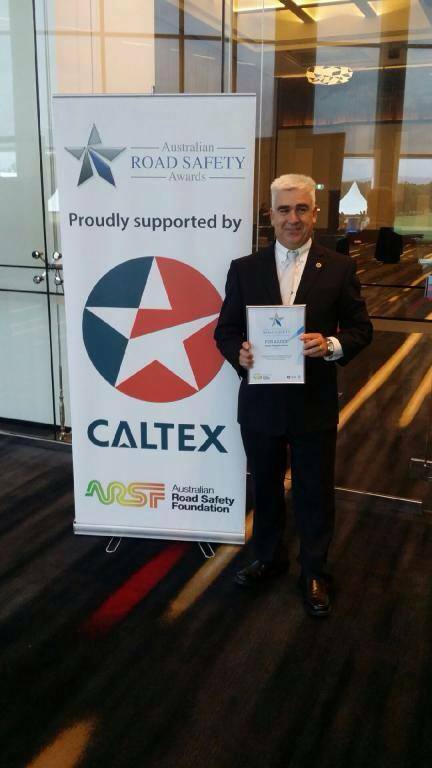 5th Australian Road Safety Awards Finalist for the Indigenous Road Safety Award. 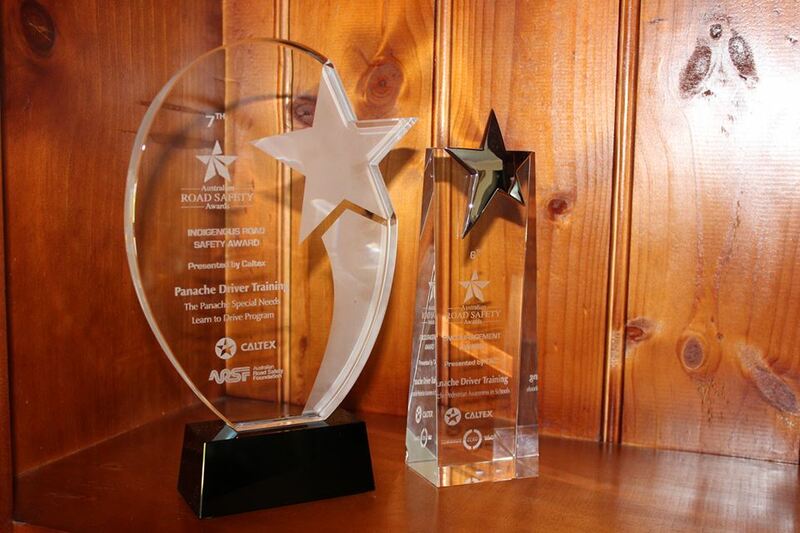 Award winner in the 6th Australian Road Safety Awards for the School Program Award. 6th Australian Road Safety Awards Finalist for the Indigenous Road Safety Award. 7th Australian Road Safety Awards Finalist for the School Programs Award. 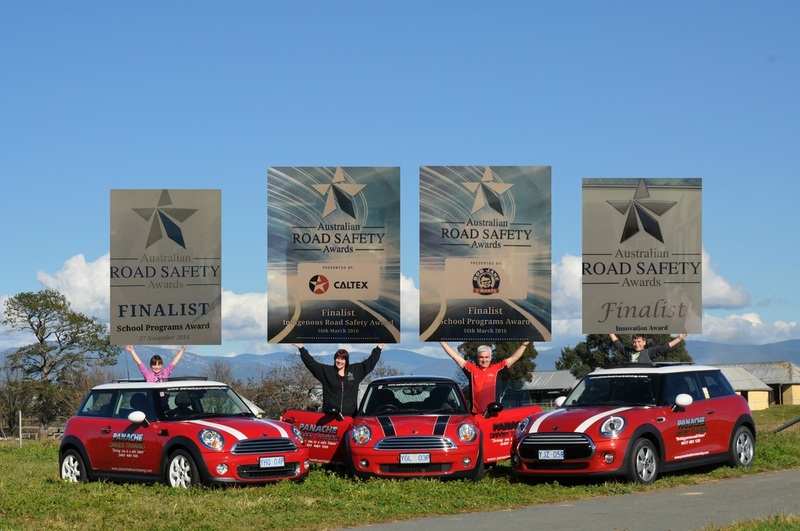 7th Australian Road Safety Awards Finalist for the Community Road Safety Award. We had a great day today with Olympian Aislin Jones taking our Mini for a drive around Parliament house. For the funding extension of the keys2drive program. 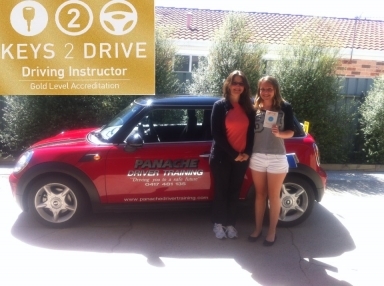 In August 2008 I decided to buy a Mini Cooper and start a part-time hobby on the weekends, Panache Driver Training was born. 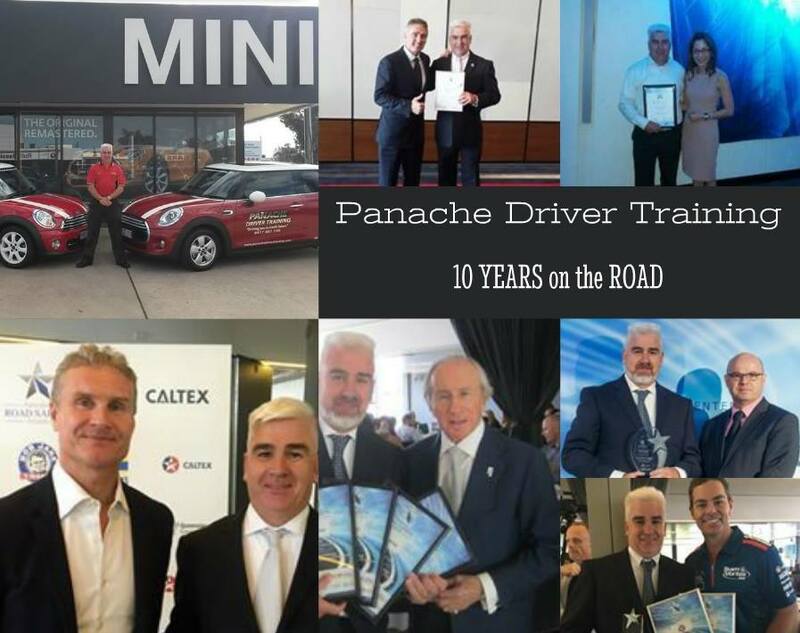 It did not take long after starting Panache that this was bigger than just a weekend hobby and I said goodbye to my day/night job an Interstate car transporter of 20 years and embarked on the amazing journey that has been Panache! There have been ups and downs of course having no idea of how to run a business when I started, but there's nothing like the feeling when you bump into a past student you taught years ago and the first thing they say is, “thank you for teaching me how to drive and giving me the confidence out on the roads, oh and by the way I have not crashed once!” Not in my wildest dreams could I have imagined what's been accomplished over the past 10 years: Thousands of lifelong memories created by amazing young people while they achieve their dream of independence. Meeting and talking with my all-time heroes and discovering they share my thoughts and passion about road safety. Being nominated for the Australian Road Safety Awards, let alone being a Finalist in the 3rd, 4th, 5th, 6th, and 7th. 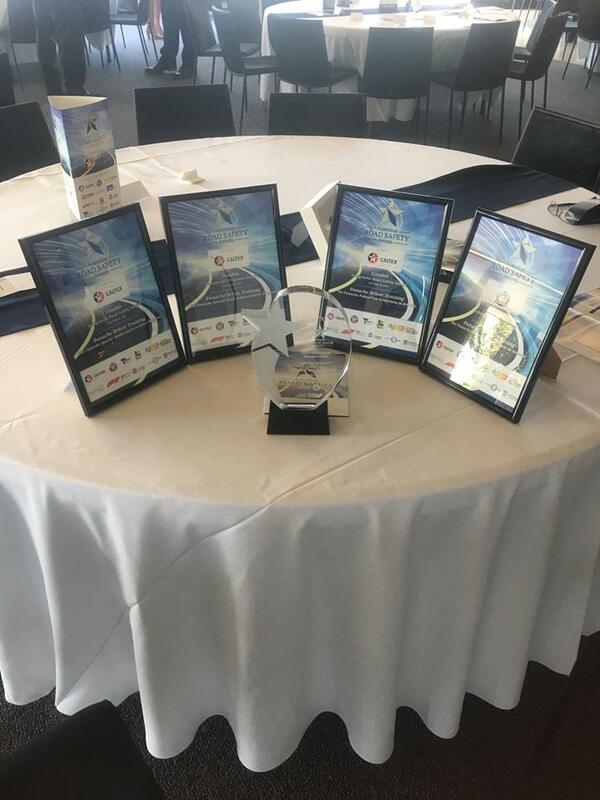 To Win the 7th Indigenous Australian Road Safety Award for The Panache Special Needs Learn to Drive Program was such an honour and so overwhelming. Thank you to my amazing wife and family and everyone who's helped make these 10 years possible. To those who've contributed in support, advice, ideas, spreading the word, nominating us for awards, recommending us to friends, or just stopping to chat. Thank you. You've got no idea how much it's appreciated.